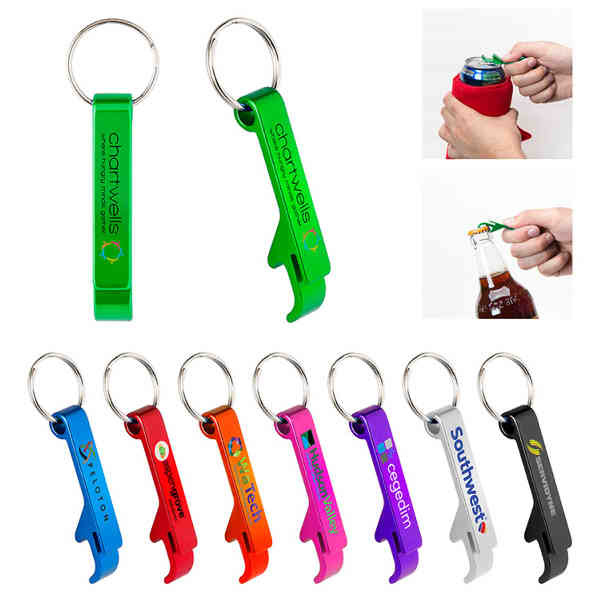 Get the attention your business deserves with this crab bottle opener keychain! It's a double-sided device that measures 2 9/16" x 3/8" and is great for taking off bottle caps and opening cans. This is made of aluminum and comes in several colors with a metallic finish. This also includes a silver split ring for attaching keys. Use our Spectrum™ imprint method to add a bold representation of your brand and give this out at the next tradeshow! Size: 2 9/16 " x 3/8 "